South Africa celebrated the 2016 Freedom Day in an entirely different atmosphere from previous celebrations. South Africa celebrates Freedom Day each year on 27th April, marking the anniversary of the day in 1994, when the country held its first ever all-race, democratic election. The 2016 Freedom Day was however markedly different – this difference is perhaps best captured by a media article titled: Fractured SA celebrates Freedom Day. The article reports that as President Jacob Zuma led the official State celebrations in Giyani, Limpopo Province, in other parts of the country, civil society and non-governmental organisations marched against the president, calling for him to step down in the wake of last month’s Constitutional Court ruling. This latest constitutional court ruling appears to be the spark that has finally awoken in the nation, the need to honestly reflect on the trajectory that the country is taking, under the current regime. As expected, civil society and the media have been vocal, unrelenting and scathing in their assessment of the moral and ethical trajectory of the nation. Speaking from a human rights perspective, civil society and the media have particularly expressed concern regarding a developing culture of impunity, where State machinery is deployed to intimidate activists and to silence voices calling for eradication of corruption from the fabric of our society, equality before the law, efficiency in service delivery, better management of State resources and respect for human rights, among others. Indeed this emerging predatory instinct by the State, where it so readily reacts to criticism by lashing out at “perceived enemies” and being quick to infringe on the rights and freedoms of citizens, is a departure from the aspirations of the founding leaders of this nation, who envisioned a country founded on a number of basic principles including, but not limited to: equality before the law, respect for human rights, unhindered access to basic services as a core basis for upholding human dignity and probity in the management of public and State affairs. Submit to the Constitution as the highest law of the land. Display a leadership that demonstrates respect for the rule of law, human rights and probity. Respect the judiciary and national institutions accorded constitutional and legislative mandates to fulfil, promote, protect, respect their functions independently without fear, favour, prejudice or bias. Promote the constitution and domestic law, including upholding domestic human rights principles at international and regional foras, including ending voting against UN resolutions that promote and protect human rights defenders. Ensure that the legislature co-exists in a mutually respectful and complimentary manner with other arms of Government, as it retains its central role in a functional checks and balance system between the three arms of Government. Ensure that the right to information, freedom of expression, association and assembly remain safeguarded as constitutional sacred fundamental rights and remove any laws, policies and bureaucracy that may seek to stifle, impede or suppress the utmost fulfillment of these rights and freedoms. Ratify, domesticate and implement international and regional instruments that promote the rights and freedoms of citizens, especially the vulnerable members of society and minority groups. Sustain adequate service delivery in provision of basic infrastructure, housing, healthcare, water and sanitation, security, education, paying particular attention to rural and deprived areas such as informal settlements. Address arising service delivery challenges such as breakdowns and backlogs timeously. Protect law abiding citizens who cooperate with international and regional human rights bodies, particularly, the African Commission on Human and People’s Rights and implement reprisals and resolution passed by these bodies. Consider drafting of new legislation to promote and protect human rights defenders in the country, regionally and internationally. 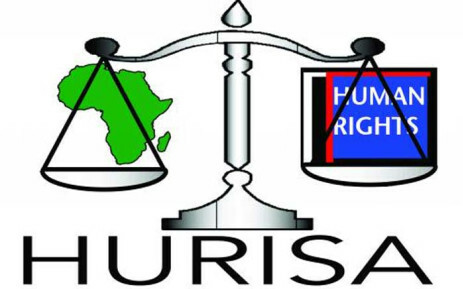 Seek technical support from ACHPR Special Rapporteur on Human Rights Defenders in Africa who developed a report on the situation of freedom of association in Africa and a report on the situation of women human rights defenders in Africa. The Special Rapporteur is currently developing a model law on freedom of assembly for improved implementation of freedom of assembly in Africa. Seek technical support from the ACHPR Chairperson and Special Rapporteur on Freedom of Expression and Access to Information in Africa. The Special Rapporteur has developed a model law on the right to information in Africa which will benefit South Africa in dealing with right to information and freedom of expression. Observe and implement the AU Charter on Democracy, Elections and Governance during the upcoming Local Government Elections.